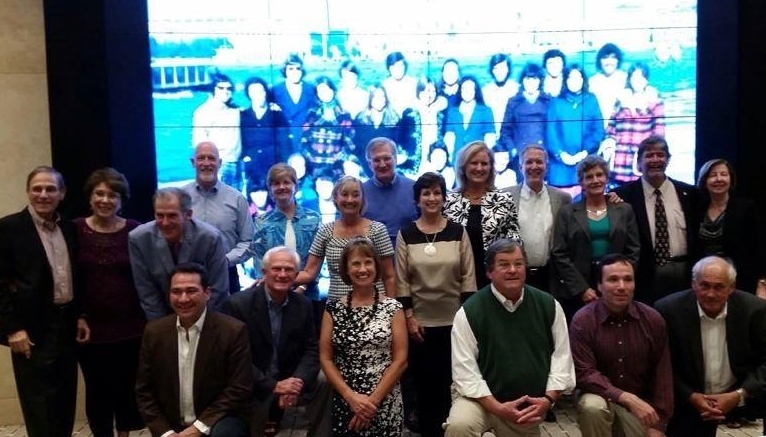 The 1974 Venice group reunites at Homecoming 2014. Forty years have passed since we, suitcases in hand, arrived to spend a semester on the Grand Canal with sociology professor Phil Perricone, his wife Nirma and their sons, Steven (’91) and Mark. Those 40 years have altered perspectives. Yet, there was recognition, not just of old friends, but of the bonds of the unique experience. Alumni spoke of an almost siren-like pull that drew them back to reframe the experience of Casa Artom through the lens of passing years. “For each one of us, I believe, the months spent in Venice were transformative ones, and we come together to celebrate that time we shared,” said Marian Osborne Berky (’75), now a religious studies professor in Anderson, Indiana. 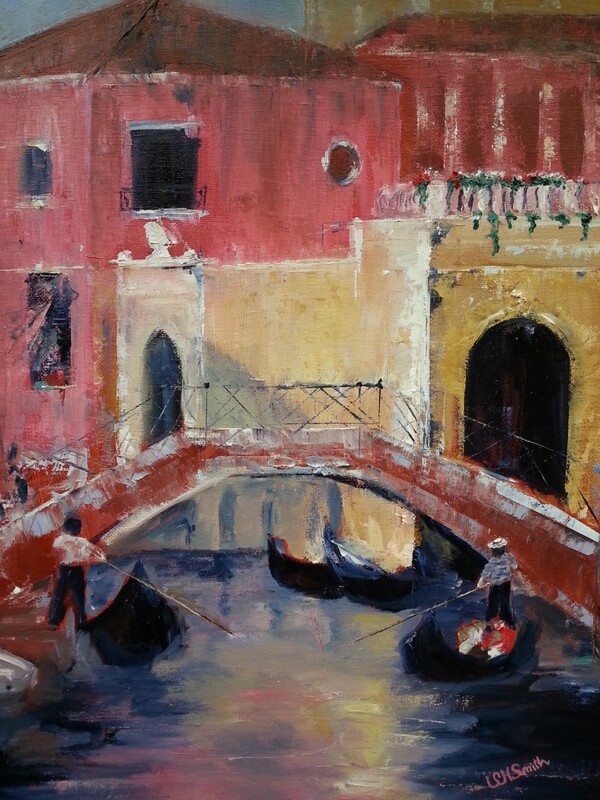 Venice-inspired oil painting by Sally Hurd Smith (’75). Ten years ago, at the 30th reunion of the group, Craig Smith (’75) of Stockton, New Jersey, suggested a fund in honor of Dr. Perricone to support the needs of study abroad and of Casa Artom. 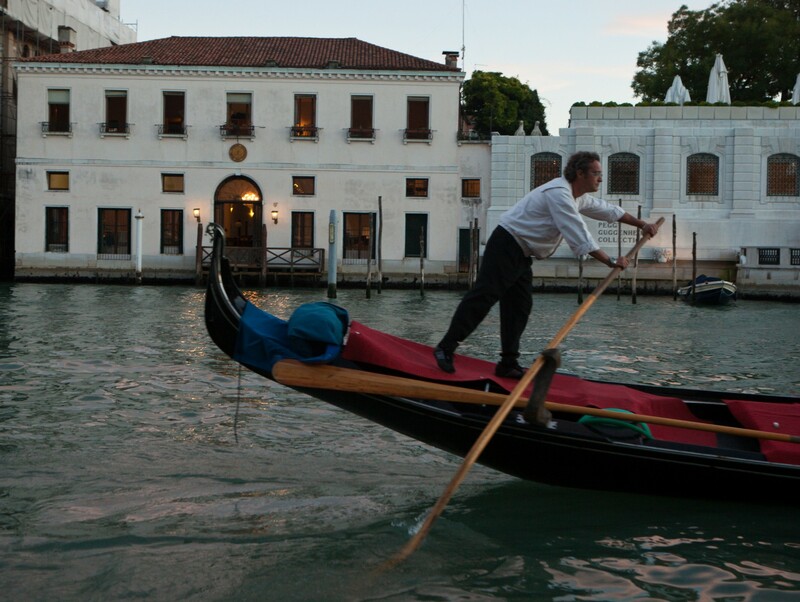 The primary focus of the endowed fund is student scholarships so that the Venice experience would be available to other students. Forty years ago, Casa Artom’s exterior was appropriately Venetian red. Until last year, not much had changed with the 1820s house, which had once been the working home of a wine merchant and then of a coal merchant, before being purchased by the U.S. government as a consulate building, and then, in the early 1970s, by Wake Forest. As Peter Kairoff, director of the Venice Program and professor of music, explained, renovations had become an absolute necessity. The first phase of an ambitious multiyear renovation project was completed in late August 2014, just days before the new group of 20 students arrived. They, like the group 40 years before, do not know how their lives will change, how their view of the world will be altered. But their perspective will change. They will see the world through new eyes because of a place called Casa Artom, just like those of us who had lived there 40 years ago. 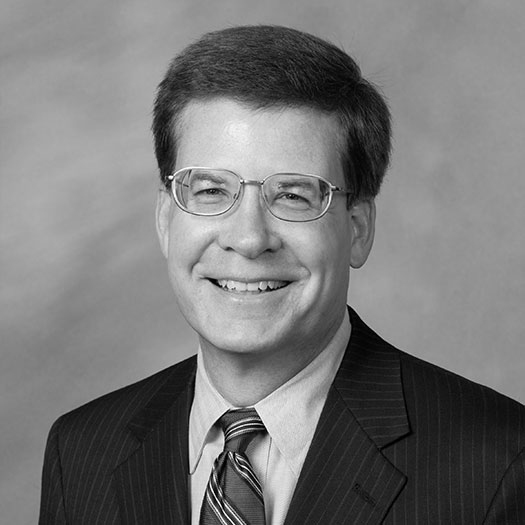 Donations to the Dr. Phil Perricone Fund may be made to Wake Forest University.